I keep Chobani® in my refrigerator at almost all times. It is a great alternative to sour cream in chilis as well as a great quick breakfast with cinnamon, honey and some chopped nuts or granola. I also love to keep it on hand to make a quick dip for veggies or even fruit. Chobani® approached me about sharing my tips and recipes for healthier after school snacks as well as tailgate snacks. I am constantly trying to find healthier food options for Bubba, as well as for myself and my husband. Bubba absolutely loves carrots, celery and/or spinach with ranch. Most general ranch dressings contain lots of mayonnaise and calories. The other tricky part of ranch dressing, for those with children, is that it has a tendency to drip and become messy quickly. 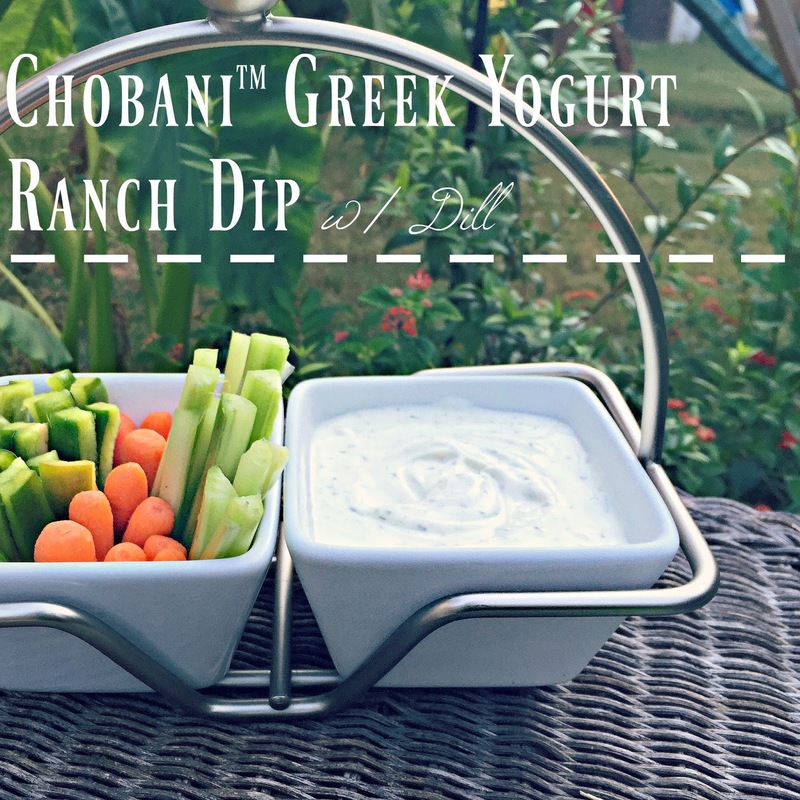 Enter my recipe for Greek Yogurt Ranch Dip w/ Dill using Chobani®. Mix all ingredients together well, cover and let sit in fridge for a couple hours for the flavors to really come out. 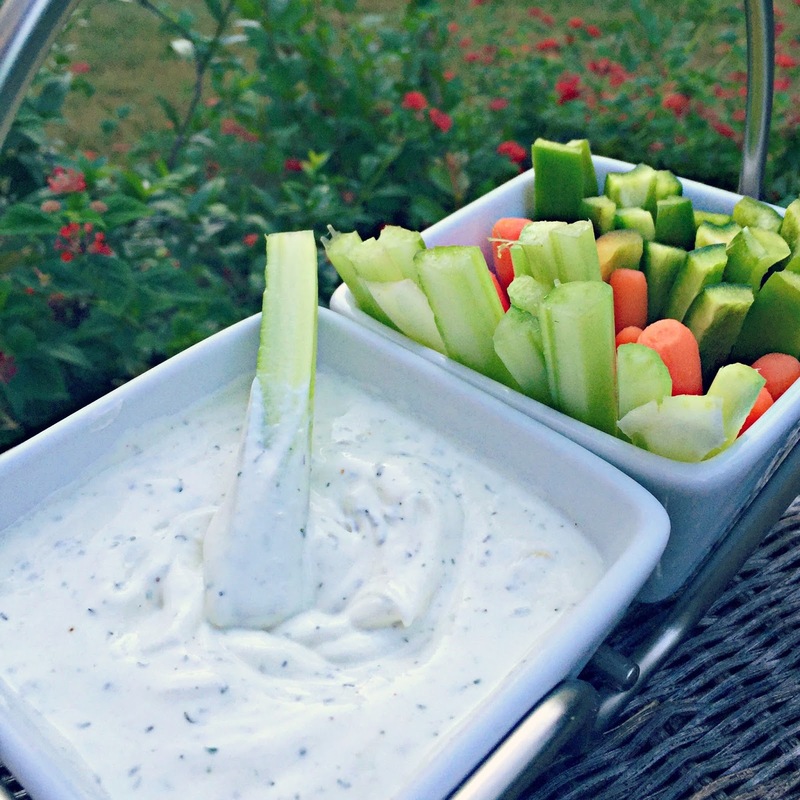 This ranch dip is a great kid friendly option, but still has enough flavor to be appreciated by adults at a tailgate. The other thing that I love about this recipe is the dip stays thick thanks to the strained greek yogurt, which is great for messy kids! Check out Chobani® Meze dips too! These dips are already made and ready for healthy dipping and snacking! I am particularly anxious to try the Chili Lime flavor! 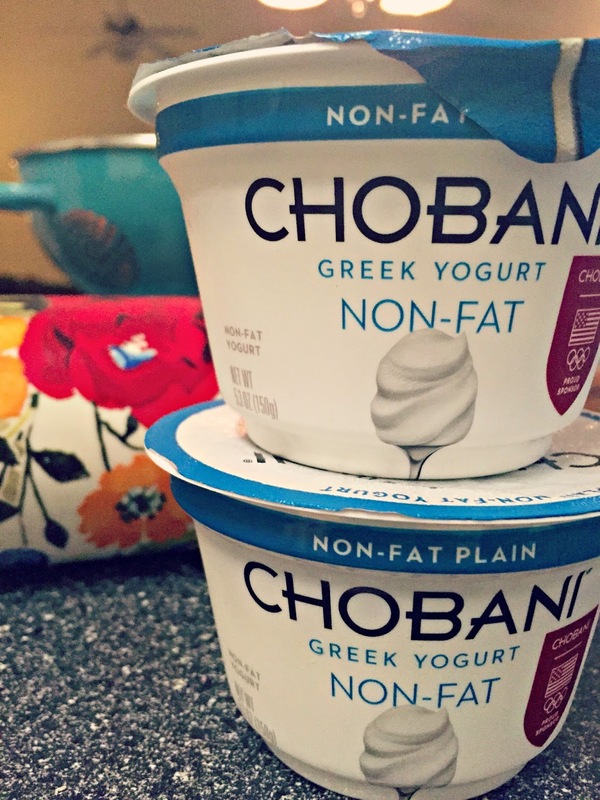 How do y'all use Chobani® greek yogurt? 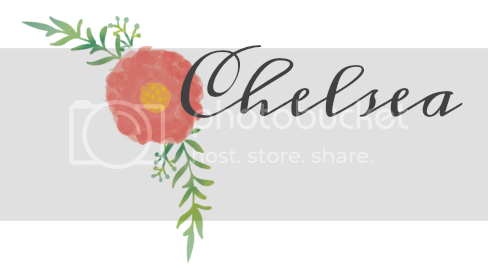 Linking up with Mel, Sheaffer & Shay for What's Up Wednesday!